So I expect to be crucified for this post but I figure you all are the best source so I'll take whatever rocks are thrown. 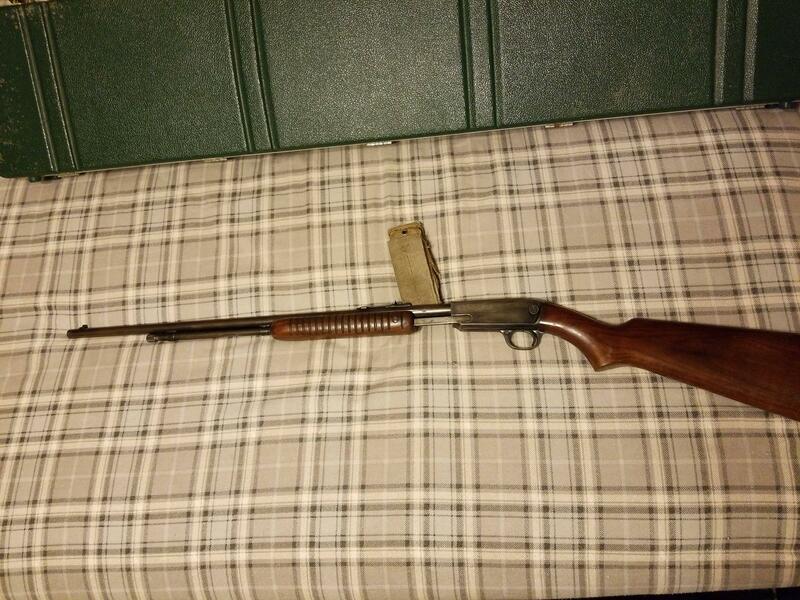 I have a 1953-manufactured Winchester 61 that I inherited from my grandfather when he passed. Three generations of my family learned how to shoot with this rifle and there's *all* of the nostalgia that comes with it along with being a damn fine little shooter. It's one of those "will never be sold" because I'd fully expect to be haunted to the rest of my days, considering there's a 4th generation coming soon that needs to be taught. I wouldn't even think it's worth enough to even consider selling it. The bluing has turned into a brown patina and it's not uniform. Functionally it's 100% though, and it's got matching serials on both halves of the takedown unlike so many of these. One thing my grandfather and I always talked about was he regretted not getting one with the dovetail mounts in the top of the receiver. Pop's been gone almost 2 years and I think it's time to honor his wishes. Does anyone know of a smith preferably local that could mill a set of factory-type dovetails in the receiver? I really want to put a little low power rimfire scope on our 61. Nice. I can tell you I regret every gun I’ve ever let go. Especially the ones from my dad. So many guns I see on the Internet that I remember hanging on the walls in our home or camp as a kid. If only I had a Delorian with a flux capacitor I could go back and pull them off the wall and bring them home. Not a smith, but I would think it’d be easier to drill and tap the top of the receiver and use mounts on it vs trying to mill it for dovetail mounts. It’d be less destructive to the little gun and easier to undo if you ever decide to get rid of the scope. Tboy: I pondered having it drilled and tapped but I figured since the factory was milling dovetails on other 61s it was just an option that never got applied to this particular serial number. I'd rather have it retain factory looks but I haven't entirely ruled out drilling & tapping for a scope mount. Plus with the right dovetail rings I'd retain use of irons, whereas a mount might obstruct line of sight. Many squirrels have been slain with these irons and if I can retain their utility I'd like to.